This cake is a dream. It’s almost like a giant brownie but with rich coffee notes and a silky, mocha frosting. I love it on it’s own or with a dribble of oat cream. In a large bowl combine the ground almonds, baking powder, coconut sugar. You may need to sieve the coconut sugar. Gradually pour in the coffee while mixing. Bake for about 40 minutes, until a cake tester comes out clean. Let it cool completely on a wire rack before removing it from the tin. 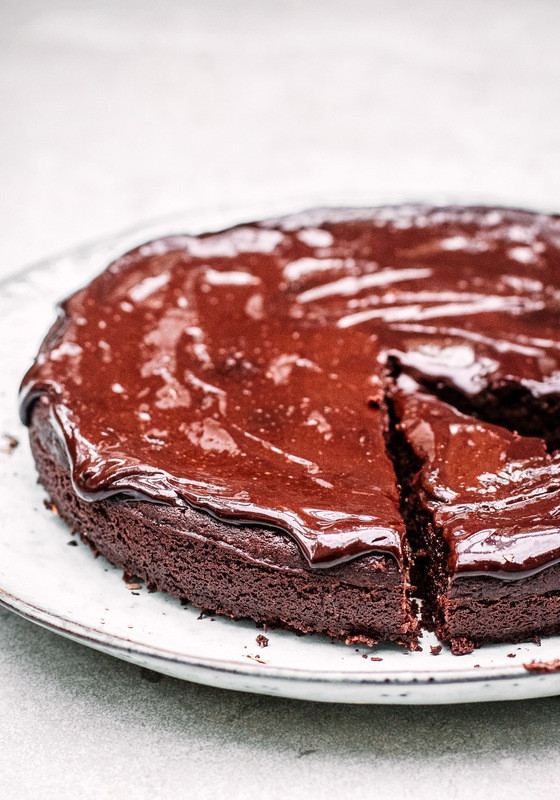 When the cake is cool, whisk together all of the icing ingredients until smooth. Ice the cooled cake and serve. What size tin do you use for this please? 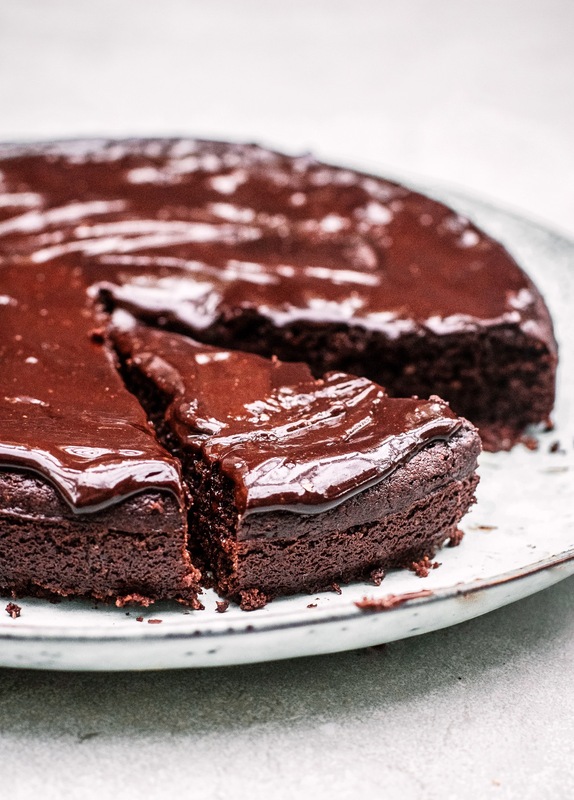 This cake is absolutely delicious, moist, chocolatey, nobody would ever guess that there isn’t any butter or egg in the recipe, genius recipe! And lovely with vegan cream! If I use raw cacao how much should I use?